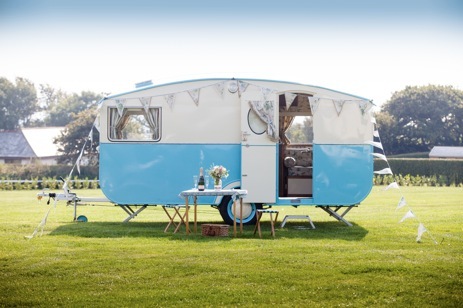 Glamping in Bessie the Vintage Caravan at Wooda is situated just one and a half miles from the seaside town of Bude in Cornwall, with its beautiful sandy surfing beaches, many shops, trendy restaurants and stunning scenery. The historical canal and lock gates can be found only in Bude, along with the much loved outdoor sea pool, only one of two in England. Unspoilt and retaining its original charm, Bude is located on the border between Devon and Cornwall – giving you the perfect opportunity to enjoy all Devon has to offer too! 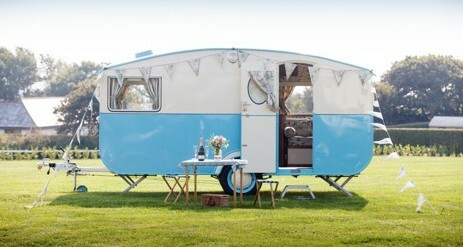 Apart from Bessie our restored vintage caravan we also have a variety of luxury holiday homes for hire to suit all tastes and budgets, some with two bedrooms and some with three. 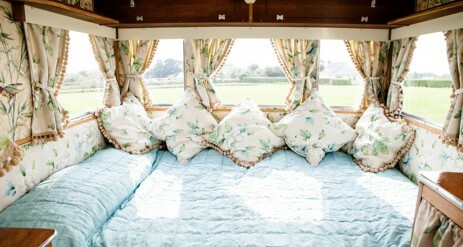 Or for those wanting to bring your tent or touring caravan, you will be able to enjoy our immaculate 5 star facilities. 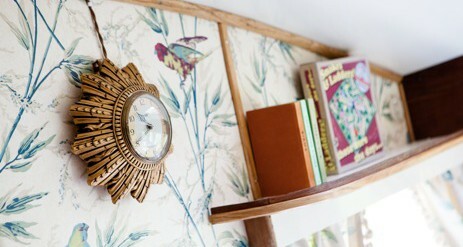 Participate in our varied rural activities, or simply while away your time relaxing by the lake. Enjoy home-cooked cuisine from The Courtyard Bar & Grill or a takeaway in your own accommodation. Being the nearest 5 star campsite to Bude and it’s beautiful beaches, Wooda is an idyllic location for exploring the surrounding areas of Devon and Cornwall and a warm welcome awaits! Born in 1958 Bessie is the newest addition to our holiday accommodation and has come to Wooda to help us celebrate our 40th Birthday. 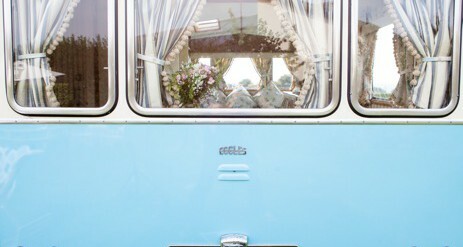 Fully restored into her vintage glory, a holiday in Bessie is one that has to be experienced! For some she will re-create fond childhood memories, and for others it will be a totally unique experience. 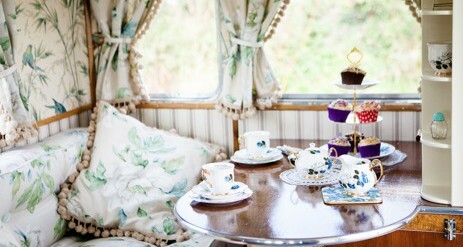 From the vintage china and beautiful bedding to the original fridge, picnic tables and chairs, Bessie is packed full of unique ‘vintage’ touches. 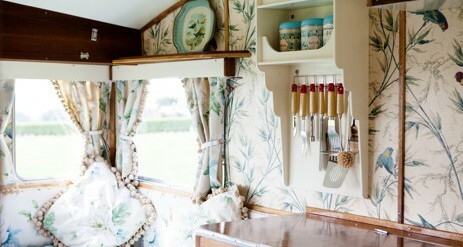 There is no television in Bessie but there is a TV room on site for your use. Bessie doesn’t have her own toilet or shower, so use of our family bathroom facility is provided. Bessie is only situated just around the corner, so its not far at all to these facilities. We have two launderettes, each with washing machines, tumble driers, an ironing and ironing board and facilities for hand washing. The appliances are all coin operated and washing power can be purchased from the on-site shop. The launderettes are open 24 hours a day. Our on-site shop is well stocked with a good selection of popular groceries, fresh bread, milk, papers, sweets and gifts. It also has a large variety of beers and wines and offers an ice pack service too. Enjoy delicious home-cooked cuisine and a wide range of beers and wines to compliment at The Courtyard Bar & Grill. Including succulent steaks, kebabs and chicken dishes from the Mibrassa Grill, the mouth-watering menu will keep your taste buds on their toes throughout your stay! The Courtyard Bar is open all year round however in low and mid-season the opening hours are restricted. Enjoy a meal in the comfort of your own accommodation from The Lodge Takeaway. The Lodge offers a variety of meals including fish & chips, pizza’s, burgers, jacket potatoes, salads and lots more. The Lodge is open all year round however during low and mid-season the opening hours are restricted. Wi-Fi coverage is available throughout the park, some areas having a stronger signal strength than others. Unfortunately we are unable to guarantee that our Wi-Fi will support applications such as Netflix and Sky Go, and other streaming programmes that have a high usage of bandwidth.